I’m sure everyone out there has heard of Gigi Hadid by now. (And if you haven’t where have you been?!) She’s an absolute stunner, super stylish, effortlessly cool and a hugely successful model. And she made an appearance as a guest judge on RuPaul’s Drag Race. #Goals. Now the 21 year old beauty has one more achievement under her belt: she’s collaborated with the legendary Tommy Hilfiger to design the new #TOMMYXGIGI AW16/17 range inspired by nautical themes and fashion pieces Gigi would wear out and about. 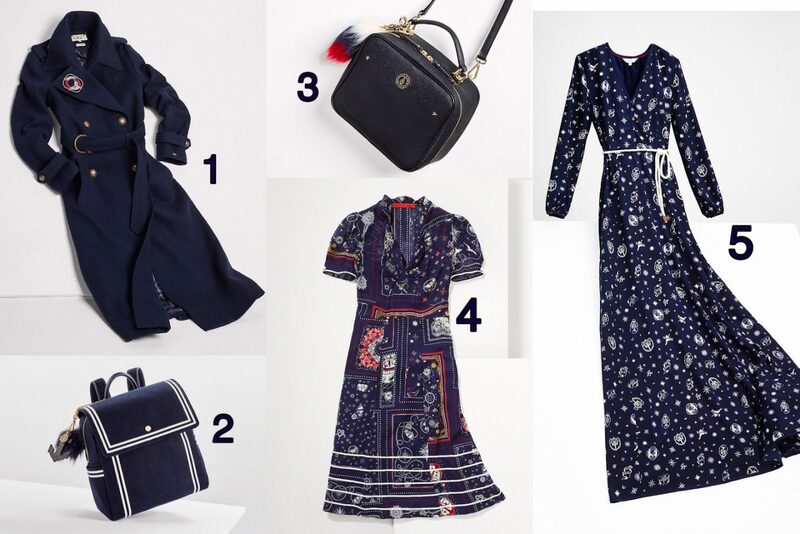 The collection is a navy-white medley of sailor shorts, embellishments, striped sweaters, double breasted jackets, oversized knitwear and printed dresses, all of which can be combined and layered to create an abundance of effortlessly chic day to day looks. Sadly, I’m not the sort of girl who can just buy designer clothing on a whim. Hey ho, the joys of being a newly graduated mathematician still on the hunt for a full time job or a lottery win. A girl can dream, right? I can, however, window shop and admire, and so instead I set myself a challenge: if I was given £1,500 to spend on the collection, what would I choose? After a total imaginary spend of £1,380, I think I managed to get quite an assortment in there, don’t you? The woolen coat with it’s trench style shoulder/sleeve straps and waist belt is a perfect staple jacket to see you through the winter, whilst the long tea dress and silk maxi dress can carry you through the summer/autumn weather switchover with an effortlessly chic, boho look. With a cute backpack to carry your everyday essentials around and a mini bag to see you through to the night time, this selection would be a perfect start to your Autumn/Winter collection. Now why not check out the rest of the #TOMMYXGIGI collection by clicking here? What do you think of the new Tommy Hilfiger collection? I’d love to know which piece is your favourite! *This post was sponsored but all of the opinions and words are my own. And I'm currently wishing I was rich so I could treat myself.